So many celebrities are predictable in their red-carpet ways. But so few of them manage to patent a red-carpet look while continuing to surprise us at every turn. The great Tilda Swinton is obviously the exception to that rule. And at Wednesday night's private viewing of the David Bowie Is exhibit, she turned it out as a neat reminder of the fact that she's got the menswear look on lockdown. In fact, we're assuming that at this point, more than a few designers keep Swinton in mind while designing. Opening tomorrow at the V&A the exhibit features a slew of brilliant, never-before-seen Bowie artefacts, and also happens to showcase the video for "The Stars Are Out Tonight", in which Swinton herself stars. 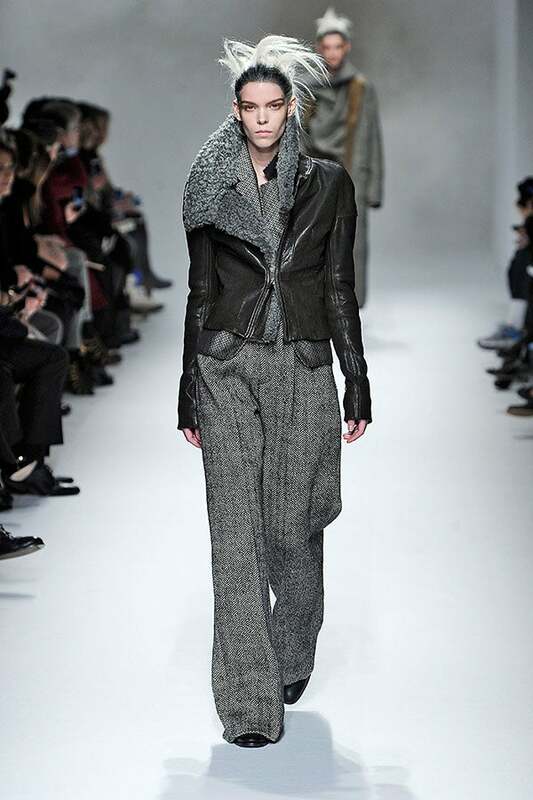 But back to the look at hand: a Haider Ackerman fall '13 runway creation, complemented by platinum-blonde, Bowie-inspired hair. Much like the gender-bending man of the hour, Swinton's consistent reliance on menswear perpetuates the conversation around androgyny in fashion — and we can't get enough. Click through to see the look on the runway, and let us know what you think. Does Tilda do it better?